Angela Hinkley is the Public Relations Director of the Minnesota 4 Wheel Drive Association (MN4WDA). She works with the MN4WDA Board Members, Officers and Lobbyist to share timely organizational and community information. Angela ensures that the communication strategy is consistent and reflects to organizations vision and mission. Over the past decade Angela has held several Director positions and Chairwomen roles for various organizations and committees. In 2017 she was a participant in the Ladies Offroad Network Top Ten. 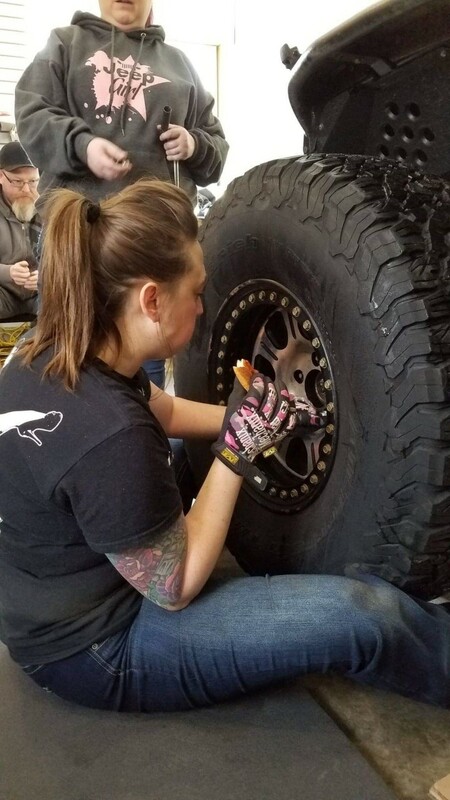 She is a co-founder and CEO of MN4WDA Club Member Ladies Rock Off-Road Club, established in 2017. In addition to managing the MN4WDA social media, Angela manages several public social media platforms for national off-road companies. Angela has been an active writer for the Minnesota Offroad magazine featuring her personal experiences and capturing off-roading events recaps. Angela holds four degrees, including a Master’s in Organizational Leadership. 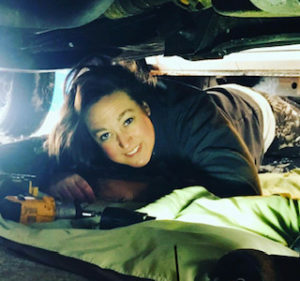 In 2019 Angela achieved her Tread Lightly Trainer Certification and is currently seeking her International 4-Wheel Drive Trainers' Association and American Red Cross Wilderness and Remote First Aid certification. Angela is passionate about promoting and advocating for women in the off-road community, creating and maintaining our trails and rights to use them, and educating people on trial etiquette and proper and safe off-roading and recovery. She brings a women’s perspective to the MN4WDA and represents the slightly modified Jeep population. Her goals for the MN4WDA include promoting the sport of off-roading in a positive light, getting information out to the MN4WDA members, growing memberships, and supporting our legislative efforts.